We have experience with building mobile homes in Mocksville, NC and will provide you with high-quality workmanship. Mobile homes are often more affordable than other types of homes throughout the country. One of the key advantages to choosing a mobile home is the rate at which you can build equity in your investment. When you buy this type of home, it could as much as double in value within a decade with lower maintenance costs than those associated with traditional homes. The initial cost of a mobile home is also much lower, so those who don’t have a high budget available for a house payment can usually easily afford the monthly payment on a mobile home mortgage. Another key benefit of mobile homes is that because the cost is lower, the loan terms are much shorter. A standard home loan is 30 years, which means you are paying thousands of dollars in excess of the loan amount in interest over the life of the loan. A mobile home loan typically has terms for just 10 years, so you can pay it off in one-third the time, allowing you to own your home outright much sooner. Since you pay fewer payments, you also pay less interest, allowing your equity to build quickly. 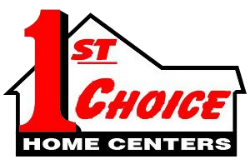 At 1st Choice Home Centers, we offer mobile homes to those in the Mocksville, North Carolina area. We have experience with building mobile homes and will provide you with high-quality workmanship that you will be proud to call your own. Our senior management team has nearly three decades of experience in the manufactured home industry, and we have a variety of floor plans and styles available to fit your style.